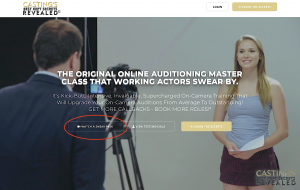 NYCastings.com lets you Submit Yourself to Daily Casting Breakdowns for Atlanta Movie Castings, Television and Commercials. This pages lists: Studio Feature Films, Indy Films, Television Series, TV Pilots, Commercials, Web-series, Industrials and Music Videos. Nationwide, NY to LA. Click Here to Search Roles fit for you. Talent submitting should upload several Headshots as well as your Video and Audio Reels. Also be sure to set up your Alerts Notifications to get Movie Castings in Atlanta sent to you immediately. Out Talent lands Atlanta Movie Castings, Open Casting Calls and Auditions!